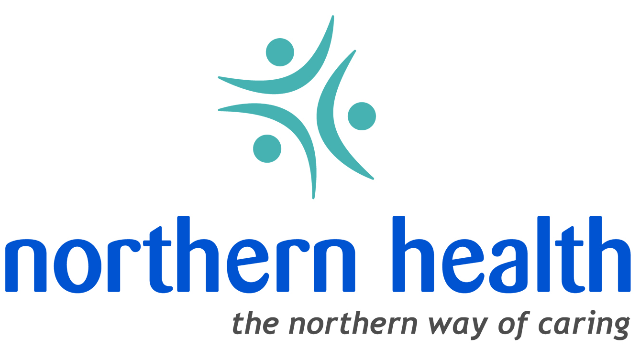 The Department of Internal Medicine at the University Hospital of Northern British Columbia (UHNBC) is seeking a General Cardiologist to join our team. The successful candidate will be working alongside one Cardiologist and two Cardiac Internists providing full spectrum inpatient and outpatient general cardiology services. The ability to perform permanent pacemaker implantation is essential. The provincial government recently approved the development of a concept plan for a new cardiac program based at UHNBC. Hence, Northern Health is undergoing expansion in all aspects of cardiology services and a business plan has been completed with the anticipation for infrastructure development to start within the next few months, including a separate CCU. The ICU/CCU is currently a closed unit covered by the intensivist group. UHNBC offers a full range of non-invasive cardiology services including cardiac stress testing, ambulatory cardiac monitoring and cardiac imaging including MIBI scan, echocardiography with TEE and a state of the art cardiac CT. The successful candidate will have access to all available non-invasive cardiology services including, ECG and Holter interpretation, cardiac stress testing, and echocardiography. It is expected that the candidate will participate in the NORTH Heart Function Clinic and inpatient cardiology consult services on a rotational basis. The Internal Medicine Department is currently in the final stages of organizing the inpatient care module around a strong General Internal Medicine (GIM) service supported by Internal Medicine subspecialties, including Cardiology. The successful candidate will be required to participate in on-call Internal Medicine rotation, 1:7 or less, and teaching on the Clinical Teaching Unit (CTU). UHNBC serves both the immediate population of Prince George (approx. 80,000) and is a referral centre for outlying communities (total population approx. 400,000). It is the main teaching centre for medical students in the Northern Medical Program and provides teaching for University of British Columbia residents in several specialties. The Department of Internal Medicine currently has 20 members, 13 of whom cover Internal Medicine. There are sub-specialties including Cardiology, Gastroenterology, Nephrology, Infectious Disease, Respirology, Neurology, Dermatology, Rheumatology and Endocrinology. It provides many specialty services including dialysis, endoscopic ultrasound, bronchoscopy, echocardiography (including transesophageal) with potential to develop new services. There is a fully equipped Intensive Care Unit which operates as a Closed Unit for physician staffing and involves many of the Internists. The BC Cancer Centre for the North is situated on the hospital site and includes radiation and medical oncology services. The ongoing development as a regional and teaching centre makes this an exciting time to join the medical community in Prince George. Prince George is the centre of business, education, health and culture for northern BC, servicing an approx. rural population of 400,000 over an area of 600,000 square kilometers. Affordable housing, short commutes, a vibrant arts & culture community, and outstanding recreational opportunities make Prince George a desirable community to call home. A paradise for outdoor recreation; mountain biking, hiking, kayaking in the summer, and 41 ft. of powder in the winter are just a few of the options for adventure seekers! If rewarding professional opportunities and outstanding lifestyle are your priority, we look forward to hearing from you soon!